Simply Mulch offers many options for your landscaping projects. Here at Simply Mulch, we custom grind and color only natural hardwood mulches. All of our products are 100% environmentally friendly. 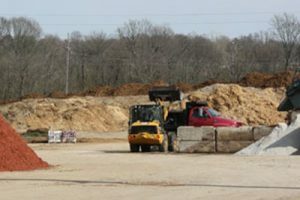 We do not use any pallets or manufactured wood products in our mulches. Our playground mulch is IPEMA certified to ensure your child’s safety. We provide playground mulch for schools,parks and daycares all over the tri-state area. 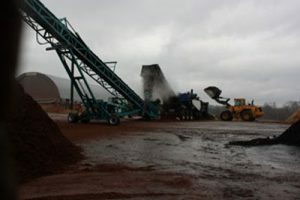 In addition to our mulch, we stock 21 types of decorative gravel, six sizes of construction gravel, dry screened topsoil, western mix (potting soil),sand, lime sand and compost. We have a wide variety of landscaping stones that can be used for patios, edging or waterfalls. We also have decorative boulders to enhance your landscape. Our customers are guaranteed to receive a full cubic yard every time. Delivery is also available. We have trucks that can service any small job for homeowners up to tractor trailer truckloads for the commercial landscaper or wholesaler. 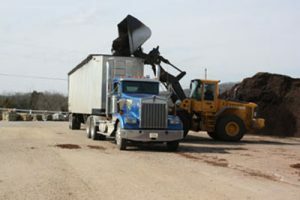 Residential- We can haul up to 12 yards of mulch per truck load or 10 yards of stone/rock per truck load. 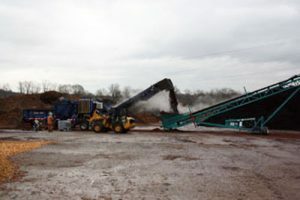 Commercial- We can haul 65 yards of natural, colored mulches or 100 yards of playground, pine or cedar mulch at a time.